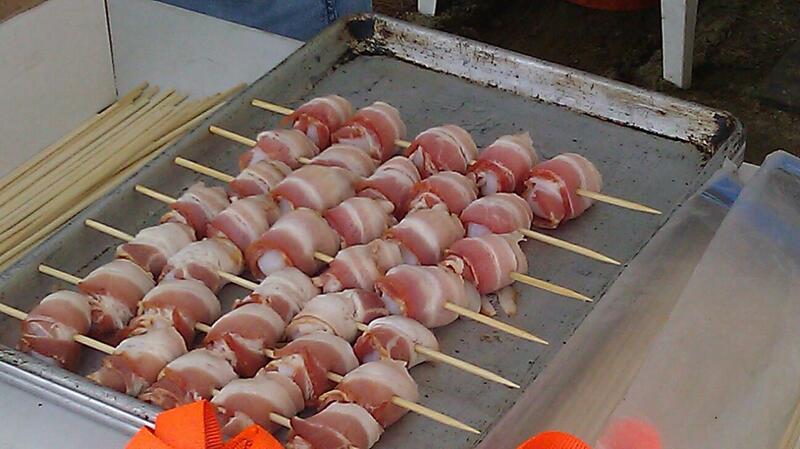 Bacon Wrapped Scallops at the Hopkington State Fair in New Hampshire. Looks like a great Fair Food find for $7! Food on a stick are very much popular. What I like is the waffle on a stick that has different flavor of toppings. And they are also easy to prepare.